Grand Master Karstadt began training in ITF Taekwon-Do in 1976. He opened his first school in Phoenix, Arizona in 1986 and has hosted many seminars and events with General Choi. 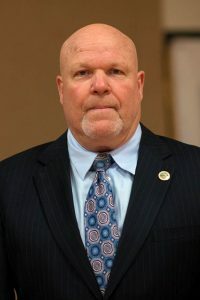 In 2015 he was inducted in to the Taekwon-Do Hall of Fame at the ceremony in Croatia in recognition of his significant contributions as a coach and manager for USA National Teams from 1995 to present. 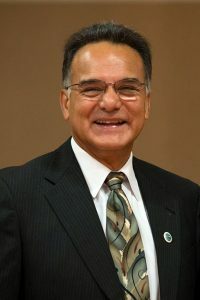 He has served as the Chairman of the Promotional Committee since 2013. Master Hwang began accompanying Grand Master Hwang at international seminars when she was 11 years old. She represented the USA at several ITF World Championships and in 2015 was the first female inducted into the Korean Martial Arts Hall of Fame. 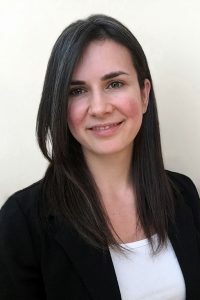 She has a Masters of Science in Sports Management from Drexel University and has worked with several professional sports franchises and athletes from around the world. Master Hwang served as Secretary General of the organization from 2013-2017 before being named Executive Director. 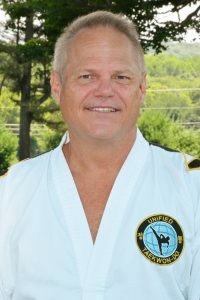 Grand Master Puello has been the Vice President of Unified Taekwon-Do since 2011. 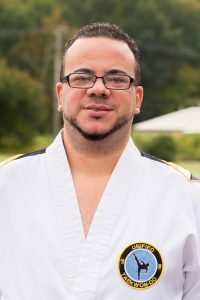 As a Taekwon-Do practioner, Grand Master Puello was recognized as one of the most dedicated students under the guidance of Master J.R. Reyes, founder of Taekwon-Do in the Dominican Republic. He received his first dan under General Choi in 1972 in Washington, D.C. He was an outstanding competitor, and was named Martial Artist of the year in 1972 and 1974 by the association of Sports Journalists in the Dominican Republic. 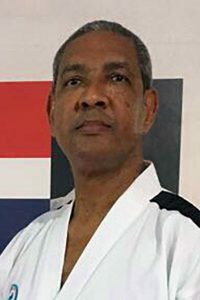 Grand Master Puello was born in the province of Bani, Dominican Republic on June 5th, 1954. He is married to Mrs. Rosario Reynoso and they have three children. Mr. Blanco is a head instructor in New York City and has a close relationship to his home country, the Dominican Republic. He is an international coach and competitor and in 2017 was awarded the Instructor of the Year for his contributions to Taekwon-Do and leadership in his community. Mr. Blanco has assisted Grand Master K.S. Hwang at several international seminars and events and works closely with the Unified Taekwon-Do headquarters. Mr. Zandri uses his expertise in sparring, drills and skill development to create the ultimate training programs for elite Taekwon-Do practitioners. 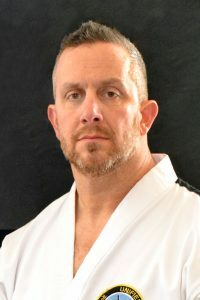 He represented the USA at the Taekwon-Do World Championships for over 25 years and is now the Head Coach of Team USA. 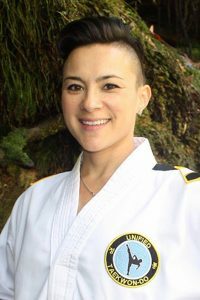 Ms. Sowder is the Chief Instructor of Hwang’s Taekwon-Do in Jacksonville, North Carolina. She is the Youth Development Coordinator for Unified Taekwon-Do and Assistant Coach for Team USA. 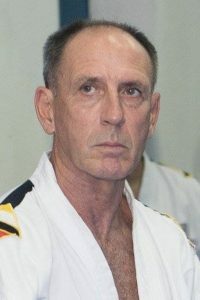 Grand Master MacKenzie is the President of the World Sin Moo Hapkido Federation and holds the highest rank of 10th dan under Founder DoJuNim Ji Han Jae. He is dedicated to teaching Korean martial arts and believes that true martial artists can work in harmony with others without ego or jealousy. Master Oulundsen was the president of the Hwang’s Taekwon-Do black belt association and owner of Oulundsen’s Taekwon-Do. 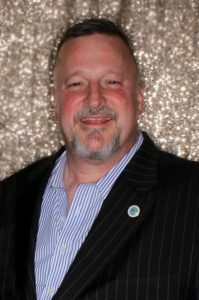 He has represented the USA in several international championships and now serves as an advisor to Team USA. 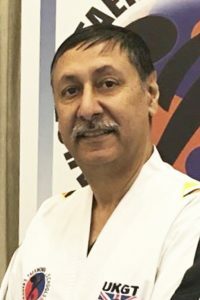 Master Sahota is the President of United Kingdom Global Taekwon-Do (UKGT). He attended several seminars with Gen. Choi and has extensive technical knowledge. Master Obregon began training with Grand Master Hwang in the early 1970s and is one of his most senior instructors. He has served as the Team USA Team Manager since the first ITF World Junior Championship in 1992. Master Demarchi is the President Asociacion Academia Superior de Taekwon-Do (AAST) in Corrientes, Argentina. He is the head of the organizing committee for the 2019 World Championships. 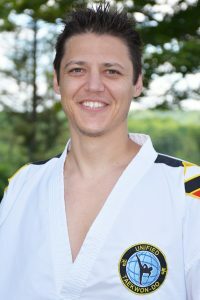 Master Karstadt is a Master Instructor at Unified Taekwon-Do Training Center. He was inducted into the Taekwon-Do Hall of Fame for his achievements as a competitor for Team USA. 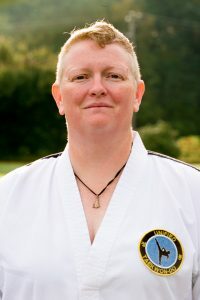 Ms. Barnes-Roberts is a 3rd dan whose passion for Taekwon-Do and design are combined working with Unified Taekwon-Do. 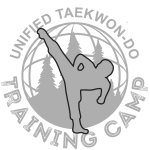 For any questions or updates related to the website, please contact her at website@unifiedtaekwondo.com. All executive members can be reached through the Executive Director via the contact page.